As Orange pledge to boost 4G connectivity across Spain with its new #LaRedquenosune campaign, they also inch ahead of Vodafone in our latest Mobile Experience Report for average download speeds and recorded improved network stability. Movistar continue to lead both upload and download speeds overall, as Vodafone perform best for latency across the country. Across Spain, Movistar lead download speeds ahead of Orange, Vodafone and Yoigo - with average speeds between December and February of 20.24 Mbps, 15.31 Mbps, 15.29 Mbps and 14.04 Mbps respectively. All operators have improved their average download speeds in comparison with our 2018 Market Snapshot, which saw Vodafone drop to fourth place following a rise in network congestion during the summer months. 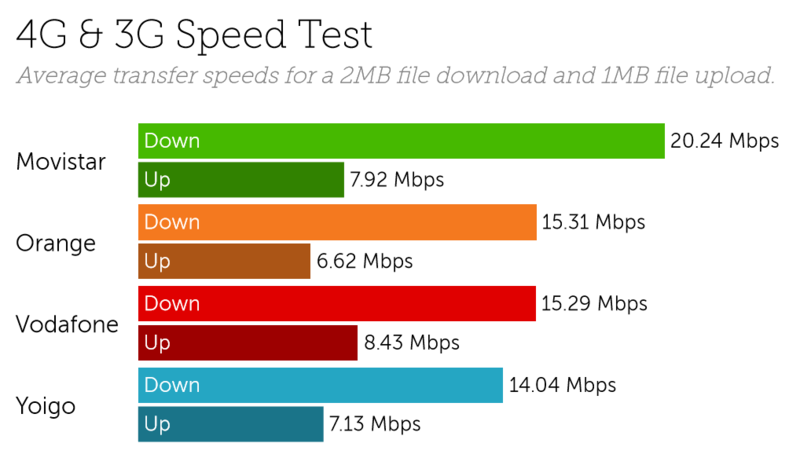 Movistar’s average download speeds peaked in Andalusía, reaching 26.90 Mbps on 4G. With an average delay of 26.8 ms on 4G, Vodafone top our latency results for the last three months, closely followed by Orange, Movistar and Yoigo respectively. In Andalusía, these results followed the same pattern, however in Valenciana Orange perform best for latency, averaging 27.1 ms on 4G, as Vodafone drop to third place. 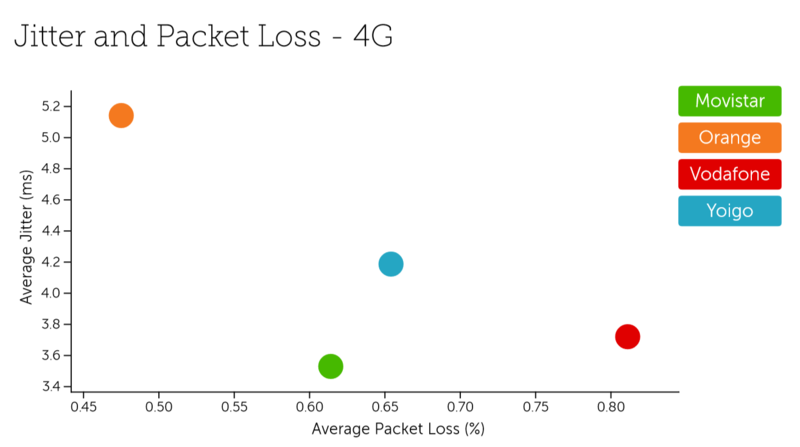 All four operators have demonstrated improved network stability, but none more so than Orange, which recorded average packet loss between December and February of approximately 0.47%. Movistar performed best for the lowest average jitter of the group, as Vodafone and Yoigo both recorded relatively higher jitter and packet loss results across the country. Yoigo performed better for average packet loss in Catalonia, but still recorded higher average jitter than both Movistar and Vodafone. Our findings for Spain are based on 116 billion network quality measurements including 16.5 million speed tests between December 2018 and February 2019. Our latest complimentary Mobile Experience Report is available to download from the Tutela Insights portal.